I’ve been working at Rho for nearly 10 years and in the industry for more than 15 years. During that time, I’ve interviewed a lot of people for a lot of different jobs in clinical research. Here are a few tips that can help you stand out in the interview process. 1. Get the basic stuff right. Regardless of the industry or the job you are interviewing for, there are some basic things you need to get right. Show up on time. Dress appropriately. In most cases, that means wear a suit. Be polite and respectful to everyone you meet, regardless of whether you think they are involved in the hiring process. Shake hands. Make eye contact when you are talking with people. Silence your phone during the interview. Be prepared to take some notes. Even if you don’t use it, having a notepad and pen sends the message that you are prepared. Send thank you notes—emails are fine. This all may seem very basic, but I continue to be surprised by the number of job candidates who fail at one or more of these things. The amount of information available today is astonishing. Take advantage of it. Before you ever walk in the door for the interview, you should learn as much about both the company and the people you will be interviewing with as you can. Start by reviewing the company’s website and social media channels. Search for news about the company including interviews with leaders of the company. This can be a great source of insight. If you have the names of the individuals you will meet during your interview, look them up on LinkedIn. Most people today working in clinical research will have at least a basic profile out there, and some will have a lot more. If you don’t have specific names, look at people with similar titles to the one you are seeking to see what kinds of experience they have. 3. Know or Learn the Industry. Whether you are a clinical research veteran with 20 years of experience or are seeking an entry level position, make sure you are up to date with what is happening in the industry. Read up on current events in clinical research, make sure you are aware of industry trends, and brush up on applicable regulatory knowledge. There are a number of great free news sources that can help you with this. A few of my favorites are FierceCRO and FierceBiotech, Clinical Leader, and Applied Clinical Trials. Obviously, the depth of knowledge and awareness expected will differ based on your role and experience level. It’s a small world. Do you know anyone who works at the company? Let them know you are applying and ask questions about what it’s like to work there. Even if you don’t know someone at that company, you likely know someone who knows someone or you know someone who works at another CRO that could be good sources of information and advice. LinkedIn is a great tool for identifying these connections. It will also let you see shared professional groups that might provide you with a connection. 5. Use Storytelling to Demonstrate Your Ability to Do the Job. When you are answering questions in the interview, be prepared to provide specific examples from your previous experience. If you are a recent graduate, examples from school projects and classes are acceptable. Some interviewers will expect it, but, even when they don’t, telling a story that demonstrates your ability to do the job is much more powerful than providing a hypothetical answer. Think through your accomplishments and your best learning experiences. While it might not seem obvious, think about projects and studies where things have gone wrong. Showing that you understand why things went wrong and how you learned from it actually can have more impact than someone who only talks about positive experiences. If you want to learn more about using storytelling to better deliver your message, check out this presentation from Jeff Polish(and if you are ever in Durham, check out his live story-telling group The Monti). Whenever possible, use experiences that demonstrate specific knowledge of the job. For CRAs, this might mean talking about experiences during site visits, working with investigators and site staff, and writing trip reports. For quality assurance professionals, it might mean talking about experiences with sponsor audits or regulatory inspections. 6. View Each Question as an Opportunity. By the time you get to the interview, hopefully you have a good understanding of what your potential employer is looking for in the position. For job openings at Rho, information specific to the role can be found in the posted job description and general information about what we are looking for in employees can be found on our website, particularly in the Our Values section. While you should provide straightforward answers to the questions asked during the interview, each question is also an opportunity to demonstrate how you meet one or more of the desired qualities or skills for the job. For example, I may not ask a direct question about team work, but being a team player is an important quality for Rho employees. An astute job seeker could answer another question, like a question about their greatest accomplishment, with a story that shows how they worked with a team to achieve that accomplishment. It’s okay to take a minute and think about your answer before responding. 7. Don’t Bad Mouth Former Colleagues, Bosses, or Employers. It never helps you to talk badly about former colleagues, bosses, or employers. It’s fine to share challenges, as long as you talk about how you overcame them. When you cross the line into complaining, it can create the impression that you were the problem or that you will be difficult to manage. We already know you probably aren’t that happy or you wouldn’t be looking for other opportunities, so you don’t need to get into the nitty-gritty of why you are leaving. And it’s a small world (see item 4), so there is always a chance that the person you are talking to knows some of these people or already has an opinion about your prior employers. 8. Know Why You Want the Job. 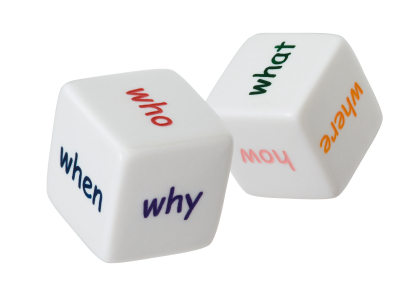 The reason may be obvious to you, but be prepared to articulate why you want the job. Be able to talk both about why working for the company appeals to you as well as why the specific role you applied for appeals to you. What do you like best about working at <company>? What qualities do you think it takes to be successful in <job role>? How would my success be measured if I were to be offered this job? What are the greatest challenges in this role? Unless you are talking to a recruiter or HR representative, avoid questions about compensation, benefits, and company policies. Also, be cautious about asking questions related to requirements you may have—wanting to work alternate hours, what type of office space you would have, or upcoming time off for a planned vacation. Most of these can be discussed and negotiated when an offer is made. At the end of the interview, if you really want the job, say so. Close out the conversation by saying in a relatively direct way that you want the job and briefly restating why they should hire you. It can be something as simple as “I’ve really enjoyed hearing more about <role> at <company>. I think my skills and experience would be a great fit and I would like the job.” Remember, send a thank you note referencing something you discussed in your interview. This shows the interviewer you were actively listening and engaged. Want to work at Rho? Check out our job openings. Employee turnover rates across the CRO industry are incredibly high. In 2014, the overall CRO turnover rate was 19.5% and was even higher (25.4%) among CRAs. At Rho, we recognize that team stability is a key factor in meeting our Sponsors’ expectations and in doing high quality clinical research. In order to maintain team stability, we have to keep employee turnover low—significantly lower than industry average. How do we do that? As is frequently said by Rho co-Founder Ron Helms, the goal should be that we are all happy at work 19 days out of 20. While everyone has an occasional bad day, we strive to make Rho a place where people are excited to come to work each day. For starters, we have an intensive hiring and on-boarding process that ensures that people who come work here will be a good fit here. Every prospective employee is interviewed by a senior leader whose job it is to protect the culture we’ve built. It is amazing how much more enjoyable work is when your co-workers are smart, fun people who are good at what they do. The physical work environment is important too. We constantly look for ways to improve the work environment. Recently, we’ve added a game room with TVs, video games, and ping pong; the RhoHUB which is a central gathering place for co-workers to grab a cup of coffee or sit and eat lunch from one of the food trucks; and a meditation room. All employees have the option of a standing desk, and we’ve experimented with some other alternative arrangements like treadmill desks and stationary bike desks. We also encourage employees to connect with the community at large. Last year, in addition to a significant corporate gift to DonorsChoose.org, each employee received a gift card to donate to a classroom or school project of their choosing. Each year, we have a BBQ and raffle fundraiser to support the March of Dimes and numerous employees participate in the March of Dimes Walk for Babies. Finally, no discussion of Rho’s corporate culture would be complete without mentioning our core purpose and core values. Our core purpose is to improve health, extend life, and enhance quality of life via corporate and research excellence. Our core values are integrity, stability, innovation, quality, to think critically & creatively, profitability, agility & adaptability, a team culture, and great people. These aren’t just words on paper—they regularly come up in meetings and are used in decision making. This probably goes without saying, but offering competitive compensation and benefits is a crucial component of any employee retention plan. We regularly review market data on salaries to ensure not only are we bringing people in at appropriate levels, but that throughout their tenure here employees’ compensation keeps pace with the market. We also offer a generous benefits package that includes standard stuff like healthcare and retirement plans, but also some nice perks like a concierge service that runs personal errands for employees. Rho has a comprehensive career path system that is designed to reward both the breadth and depth of skills that employees acquire during their time here. We encourage all employees to explore areas outside their existing area of expertise because it makes them more valuable to Rho and more valuable to our clients. We prefer to promote from within when possible, and the majority of our senior leaders came into their current positions this way. Entry level employees are exposed to a broad set of functional areas and skill sets, and most spend at least a year or two in generalist roles before becoming more specialized in an area of interest. We believe our employees are most effective at work when they have a fulfilling life outside of work. In a world where many people never disconnect, we discourage checking email at night and on weekends unless truly necessary. We want people to take real vacations where they don’t take work with them, call into meetings, or constantly respond to email. We also realize that life requires flexibility, and we trust employees to make good decisions when setting their hours or deciding to work from home rather than come into the office. Last, but definitely not least, is the opportunity to do work that matters. The research we do solves real problems. From breakthroughs in preventing peanut allergy, to getting a new product to market that extends the lives of cancer patients, to life changing improvements for organ transplant recipients, Rho employees know that the work we do here matters. Rho co-CEOs Laura Helms Reece, Dr.P.H. and Russ Helms, Ph.D. have started a book club for Rho featuring books that help employees grow personally and professionally and that support Rho’s company culture. The book club was recently featured in the Triangle Business Journal. Late last year, we decided to form a company book club as one of the latest additions to the programs we offer to maintain high employee engagement. Our goals are to select books that help our employees to grow both personally and professionally and books that help reinforce our values and company culture. We hope our employees will gain a fresh perspective on their job at Rho, their relationships with co-workers, and their relationships with clients. The discussion part of the book club gives employees an opportunity to share their ideas with co-workers and to hear from us about why we think the book is important. For our most recent book, we chose The Happiness Advantage by Shawn Achor (you can get a sneak peek of the book by watching his TedTalk). Why did we choose it? We want happy employees! Not only do we think generally happy employees are part of the corporate excellence we strive for, but we think happy employees make for happier customers, and that’s good for business. In this book, Shawn Achor presents evidence that happiness leads to success—not the other way around. It’s a virtuous cycle. If we work at it, we can make ourselves happier and more successful. It takes practice, but it’s worth the effort. In addition to providing support for this view, the book provides actionable steps for making ourselves happier. What’s not to love? Here we will summarize some key points from the book and some key take-away messages from the book club discussion. The book covers a lot of ground, so this article will focus on a few of the most important messages and those that have the most direct application to our workplace and workforce. The book begins by helping us to understand what happiness is, providing support for the book’s main assertion—happiness leads to success, not the other way around—and demonstrating that this stuff actually works. Happiness can be hard to define, but we’re taking it to mean a positive mood now and a positive outlook. Ten common adjectives associated with happiness are joy, gratitude, serenity, interest, hope, amusement, inspiration, awe, and love. Three measurable components of happiness are pleasure, engagement, and meaning. The measurement part is important because the basis of the book is not speculation, but rather grounded in scientific study. Happiness is not just a mood, it is a work ethic. Little doses of positivity can gradually move our “set point” (how we usually feel) higher over time. Some activities that have been proven to work for some individuals are meditation, anticipating something happy, conscious acts of kindness, a more positive environment, exercise, spending money on experiences and other people, and utilizing a personal strength. But perhaps the most valuable intervention is practicing gratitude. Throughout the book, Achor presents a number of specific ways people can practice gratitude. For instance, one method that has been repeatedly linked to a higher level of happiness is keeping a daily gratitude journal. The fulcrum and the lever is a metaphor used to describe changing your mindset to increase your happiness. The lever is how much potential we think we have and the fulcrum is the mindset we use to generate change power. Moving the fulcrum towards a negative mindset creates more negativity by enhancing your ability to experience unhappiness. Moving the fulcrum towards a positive mindset does the opposite—it enhances your ability to experience happiness, and makes it easier to be aware of all the reasons to be happy. One example used to illustrate this principle was a week-long experiment on a group of 75 year old men. The men went on a retreat where they were told to pretend that it was 1959. They were supposed to dress and act as they did at the time, had ID pictures of themselves at that time, and talked about events that occurred in 1959. An amazing thing occurred—their mental construction of their age changed their physiological age. Prior to the retreat, the men were measured on aspects we assume deteriorate with age—physical strength, posture, perception, cognition, and short-term memory. By the end of the retreat, the men had improved in every aspect. An important conversation we had during the book club session was about our mindset about our work. We discussed job crafting—changing your mindset to make your job a calling. We talked about what potential meaning and pleasure exist in our jobs. Our core purpose—to improve health, extend life, and improve the quality of life via corporate and research excellence—makes it easy for many of our employees to find meaning in our work. Many also find meaning in more specific ways—providing excellent service to our clients, helping make a co-workers day better, or achieving a project milestone with their team. Recognizing the meaning and sources of pleasure in our jobs can make us happier at work. The Tetris Effect is based on a study where students were paid to play Tetris for hours each day. Following study, some students couldn’t stop dreaming about shapes falling from the sky while some students saw Tetris shapes everywhere they went. This is now used to more broadly describe someone who is stuck in a pattern of thinking or behaving. This can have positive or negative implications depending on what patterns of thinking or behaving you train your brain to follow. The key point is that whatever you practice, you experience everywhere, even in very different contexts. In the example of playing Tetris each day, it can be negative. There are few practical implications to seeing shapes falling from the sky everywhere you go. This is also true for grumpy people. People who practice spotting things to complain about will find things to complain about everywhere and all the time. On the other hand, people who practice spotting positive things—say, things that provoke gratitude—will find reasons to experience gratitude everywhere and all the time. Train your brain to look for the positive and you will see more opportunities for growth and more chances to help others grow. Our minds respond strongly to training and practice. One way to make this a practice is to start each day by making a list of three blessings (one form of a gratitude journal). Alternatively, you can make a short journal entry each day about a great experience you’ve had. Make these a habit and you increase your chances to seize on positive opportunities. Achor reminds us that we can’t ignore reality—we shouldn’t ignore real risks; but, at the same time, we can give more priority, weight, and attention to the positive, and thus experience more of the positive. The key to Falling Up is learning to use adversity and failure to get ahead. Those who see failure as horrible are traumatized by it. Those who see it as a chance to learn, grow. Whether an experience has a positive outcome isn’t about what happens to you, it’s about how you respond. That’s why we discourage blame here at Rho and encourage lessons. One way to make this happen is to adopt a positive explanatory style. What does that mean? Look at adversity as something that is temporary and local. Compare your outcome to possible outcomes that are worse. Changing both your inward and outward dialogue about failure and adversity can change how you actually feel about it. When we encounter an unexpected challenge, the best way to save ourselves is to hold tight to the folks around us. Things get tough for all of us from time to time, yet people tend to respond in one of two distinct ways. One way is to close people out. Final exams are coming, so you lock yourself in a study carrel for weeks without outside contact. Or, you reach out and connect. You intentionally set aside time to go out and have fun with your friends. The group that takes the second direction consistently performs better and is happier. This applies to work settings too. This principle should change how we as leaders spend our time. Time spent building and reinforcing relationships is almost always time well spent. Make eye contact. Ask interested questions. Schedule face-to-face meetings. Initiate conversations that aren’t always task oriented. When good things happen, actively respond. This is an important part of why we at Rho emphasize relationships and a team culture. A team culture has always been a Core Value of ours: what we do is mentally demanding and difficult, and we’ve always found we do it better when we enjoy the support of our teammates. As part of that, we have long emphasized that a key expectation of all employees at Rho is to foster good relationships. Results are great, but we expect our employees to create their results in a way that builds relationships. We’ve found that’s good for business—it’s nice to learn that it’s a contributor to happiness, too! For our next book club session we will be reading and discussing Greg McKeown’s Essentialism: The Disciplined Pursuit of Less. John Verrier, Service Leader-Client Support Services, led the Pay Yourself First initiative designed to improve employee well-being. For the first quarter of 2015, Rho’s Corporate Goal - Pay Yourself First, focused on employee wellness through a variety of educational and behavioral based weekly challenges. Our goal was simple: introduce employees to a wide array of options that could lead to an increase in mental or physical well-being through positive habit development. We wanted employees to view the weekly challenges as if they were part of a buffet table – fill your plate with your favorite options and go back for more at your own pace. Admittedly, some employees felt overwhelmed by this deluge of content initially; however, I believe most appreciated the scattershot approach once they understood the buffet paradigm. Nobody is supposed to eat the entire buffet…at least not all at once! Thrive® – The first challenge was to enroll and participate in Thrive, an evidence-based, online coaching program that uses techniques from cognitive behavior therapy to help people identify and control stressors, improve mood, and feel and function at their best. Thrive uses video, interactive tools, and a personalization engine to help you meet your goals. You can choose the skills you want to learn, customize your plan, and track your performance. Meditation & Mindfulness – The challenge was to meditate in five minute increments at least once per day. To help employees get started, we offered three workshops designed to introduce employees to meditation. Sleep – Employees were asked to track their sleeping habits in an effort to improve sleep quality. Nutrition – We provided employees with a selection of scientifically-based nutritional information. The challenge was to spend at least one hour reviewing these educational materials to see whether the content was helpful to interesting and to make three or more positive changes in eating habits or choices based on the information. Steps – In this challenge, employees were asked to spend a week logging their steps each day to determine their average. Then, spend the next week attempting to boost that daily average by 20%. Employees were encouraged to follow this 20% increase each week until they averaged around 10,000 steps. Time Management – Employees were asked to watch an introductory video about Covey Quadrants, and then spend the next three days tracking activities at home and work, mapping each activity to its applicable quadrant. Finally, employees were asked to spend the rest of the week attempting to shift time spent in Quadrant 4 to Quadrant 2. Health Assessments – For this challenge, we provided employees with links to various health assessments. They were then asked to spend one hour reviewing the assessments and associated educational materials to determine what was helpful or interesting. Exercise – In the exercise challenge, we provided educational materials on exercise., We then asked employees to spend at least 90 minutes during the week engaging in exercise they would not have previously done and to make two or more positive changes in their exercise habits based on the information. One Plus Two – The One Plus Two challenge was a about time and bandwidth management. At the start of each day, employees were asked to define one – just one – high impact action that they would definitely complete. We suggested putting it as an “all day task” on their Outlook calendar to keep it at the front of mind. Additionally, employees defined two bonus high impact tasks. These tasks were great if they could get to them, but no big deal if they couldn’t. These could also be added to the calendar. At the start of each day, employees checked back on the previous day’s tasks and determined what was completed. Volunteer – Employees were encouraged to spend a week focusing on others, by giving back in whatever way they felt was appropriate. (literally) Pay Yourself First – We provided educational materials related to long-term financial well-being and asked employees to spend time reviewing their long-term financial plans. The Pay Yourself First initiative is directly in line with Rho’s Core Value of “Great People” – Rho employs smart, talented, positive people with sound judgment, a can-do attitude, and a zeal for teamwork. Rho truly believes their most valuable asset is their employees, and this initiative corroborates that. Given the incredible response from employees to the Pay Yourself First challenges (~70% engagement), it seems as though that dedication has helped to promote an engaged, happy, and healthy workforce. For our first book, we chose Brain Rules by John Medina. Why did we choose it? We make our living with our brains, so it’s valuable to understand how they work and how to optimize their performance. This book makes learning about such a complex topic relatively easy and accessible, even for people with a limited background in biology or neuroscience. Here we will summarize some key points from the book and wrap-up with some key take-away messages from the book club discussion. The book covers a lot of ground, so this article will focus on a few of the most important messages and those that have the most direct application to our workplace and workforce. Over the course of the vast majority of human evolution, we moved—a lot. Pre-civilization, people walked up to twelve miles a day. Now, we don’t. Many of us spend hours a day sitting or relatively sedentary, despite scientific demonstration of the many benefits of exercise and physical activity. In particular, the brain benefits from high levels of physical activity. Exercise has been shown to help with cognitive function, executive function, long-term memory, reasoning, attention, problem-solving, and fluid-intelligence tasks. Students who spend more time on exercise and less time on academics do better academically. The lesson here is that if we want to do better work, we need to move more. We’ve already started making some changes at Rho. We make treadmill desks available, employees have the option of standing desks, and we’ve had walking paths set up near our building to encourage walking breaks and walking meetings. Not everyone is going to be, or should try to be, a triathlete, but unless you are already exercising more than ten hours a week, we encourage all our employees to be a little more active. There are several important lessons when it comes to attention, all of which have direct bearing on how we work. The first is that we don’t pay attention to things that are boring. In the work place, that means if we want people to pay attention to our message, whether in a presentation, an email, or a meeting, it can’t be boring. Emotions do get our attention, so making an emotional connection can help us gain and keep attention. Another important concept is that meaning needs to come before details. Making connections between ideas is necessary if we need to pay attention to the associated details. One suggestion that comes out of these concepts is a suggestion for structuring presentations. Structuring talks in 10 minute chunks that start with an engaging story and then dive into the details will help your audience pay attention. Finally, our brains don’t multi-task. The end result when we multi-task is that tasks take longer and result in more errors. We can increase productivity by limiting our interruptions and setting aside dedicated time for important tasks. Sleep—getting enough of it, getting the right kind of it, and getting it at the right times—is critical to the performance of our brains. Lack of sleep hurts attention, executive function, immediate memory, working memory, mood, quantitative skills, logical reasoning ability, and general math knowledge. Some of us are larks (get up early and go to sleep early), some of us are owls (get up late, stay up late), and some of us are hummingbirds (somewhere in between larks and owls). Moving away from these natural rhythms is very difficult for most people and can lead to decreased performance. This is one of the reasons we try to give people a fair amount of flexibility in when they work, as long as the work is getting done and they are meeting the needs of their customers and teammates. We’ve noticed that introducing this language (owls, larks, hummingbirds) has already changed the way we negotiate meeting times—we’re able to schedule things so everybody is alert. We also encourage employees to think about how sleep impacts their work productivity. Staying up late and working may actually decrease your productivity rather than getting a healthy amount of sleep and coming to work focused and energized. This is something we are dealing with primarily by educating and encouraging our employees. We also believe in respecting our employees’ autonomy and privacy, so actively managing employee sleep patterns is not something we are interested in doing. The evidence is clear: short naps in the afternoon can have a very positive impact on performance. We are still mulling this one over. Despite the scientific evidence of the value of naps, there are difficult issues associated with encouraging naps in the workplace—issues of hygiene, culture, propriety, and management. Though the discussion about nap rooms sparked a lively conversation, we haven’t dedicated any square footage to them yet. When we deliver information using multiple senses, it makes more of an impact and is easier to remember. Presentations with pictures and words are far better for teaching than words alone. Additionally, text and pictures presented at the same time and in close proximity are better. Animation with narration is superior to animation with text. In general, the more senses that can be integrated the better. Even associating smells with certain ideas or information can help remember that information later. That said, all senses are not equal. The brain spends up to half of its energy processing images, and there is evidence that the brain will ignore other senses when what you see doesn’t line up with what you smell, taste, hear, etc. For example, expert wine tasters can be fooled into believing white wine is red wine by changing the appearance. How are we using this? It has changed the way we present. When we do use PowerPoint, we are moving to rely more on images rather than slide after slide of text. In our sales presentations, we are moving away from PowerPoint entirely in exchange for white board presentations. For our next book club session we will be reading and discussing Shawn Achor’s The Happiness Advantage. You can get a sneak peek of the topic by watching this TedTalk.